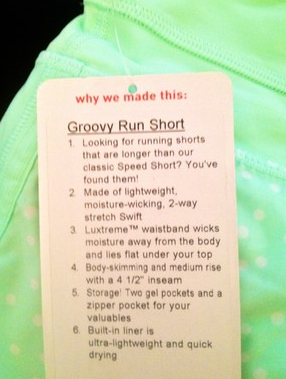 Just found this photo of some new Groovy Run Shorts with a polka dot print on them. This color is either Faded Zap or Fresh Teal, but I’m leaning towards Fresh Teal. "New! 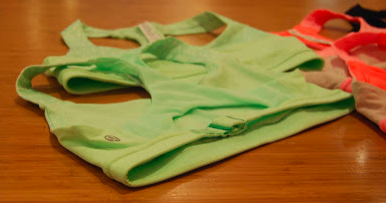 Sour Apple and Very Green"
"Fit Review: Beach Runner Jacket and Run: Pace Tank Sour Apple Green"